The Commercial Department at SR Mechanical Inc is here to serve all your needs, from plumbing to light commercial to industrial HVAC applications and commercial refrigeration. We are a company that is committed to excellence in every aspect, from installation to service to customer care. 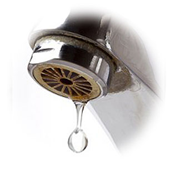 Give us a call and let us take care of all your commercial plumbing and HVAC needs. 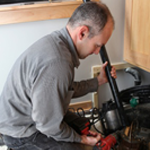 Having multiple plumbing licenses, SR Mechanical Inc performs complete plumbing installation, maintenance and repair for the residential, commercial and industrial sectors. We understand the particular demands of refrigeration for the food service sector. Proper service and repair from trained professionals can keep electricity costs lower, extend the life of equipment, and keep downtime to an absolute minimum. With over 40 years of experience, SR Mechanical is the company you should trust when it comes to commercial refrigeration for restaurants and other sectors of the foodservice and hospitality industries. Our highly skilled and dedicated technicians are always ready to quickly respond to whatever refrigeration emergency you might be experiencing.